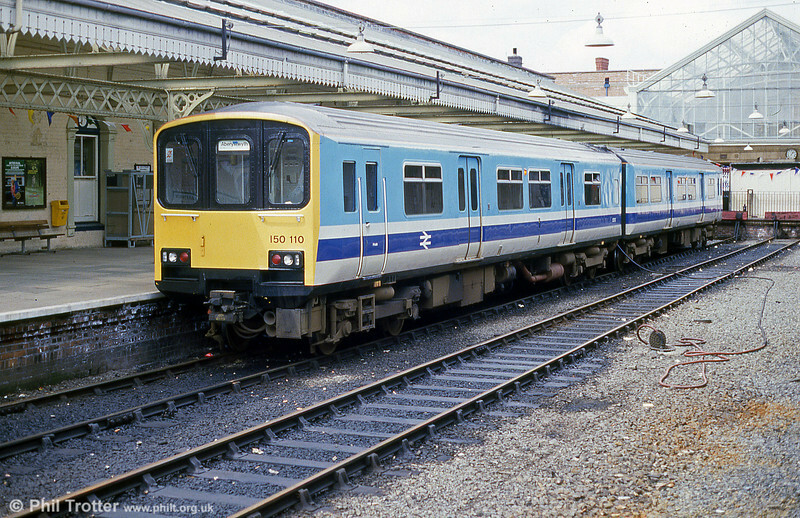 The newer dmus from prototype 140001 which appeared from 1980 onwards. Many of these are still with us, but this section shows them back in BR days. 150110 at Aberystwyth in original condition in May 1986.